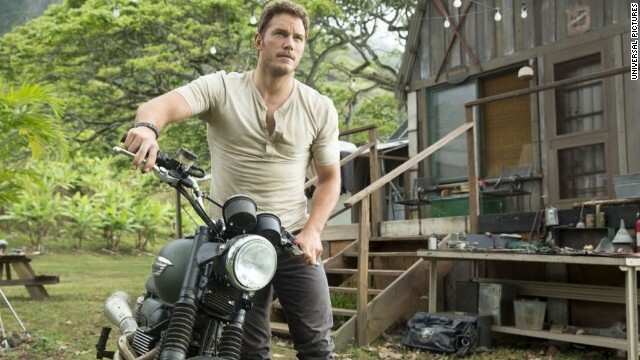 Chris Pratt stars as Owen in "Jurassic World." (CNN) -- The excitement over the newest "Jurassic Park" movie exploded a few weeks ago with a sneak peek at "Jurassic World." This popular dinosaur park-gone-wrong series originated in the 1990s -- 1993 to be exact -- when Hollywood was on a veritable dinosaur movie binge. But let's be honest: How many other '90s dinosaur movies would you want to see a 21st-century version of? Nearly everyone has that one movie that they watched endlessly as a kid -- only to grow up and realize that the film was actually pretty cheesy. For many millennials, that film was "Adventures in Dinosaur City," a 1991 movie about dinosaur-obsessed kids who fiddle with their scientist-parents' TV experiment and get sucked into their favorite show about dinosaurs and cave men. It's kind of like a cross between "Honey, I Shrunk the Kids" and "Gremlins." Released a month before the first "Jurassic Park" movie, "Carnosaur" couldn't compete with the multimillion-dollar "Jurassic" movie franchise that would eclipse it at the box office. Like "Jurassic Park," "Carnosaur" had a plot based on a novel about scientifically re-creating dinosaurs. And, like "Jurassic Park," there was also a "Carnosaur 2" and "Carnosaur 3." But few people remember this trilogy -- so maybe it's time for "Carnosaur 4." Here's another '90s dinosaur fantasy movie that millennials may have a special fondness for, but it doesn't quite live up to its hype. "Prehysteria!" is about some children who get a hold of dinosaur eggs that hatch miniature dinosaurs. And like a lot of bad '90s movies, there were two sequels. This movie -- described by one reviewer as "horribly hilarious" -- stars a young Denise Richards as Tammy and Paul Walker as her boyfriend whose brain is implanted in a robotic Tyrannosaurus rex. Yes, you read that right. And it just gets worse from there. Needless to say there's never been another movie plot like "Tammy and the T-Rex," and let's all hope there never is. It's hard to believe that Whoopi Goldberg -- nominated for an Academy Award for her unforgettable role in "The Color Purple" (1985) and awarded an Oscar for best supporting actress in "Ghost" Hollywood was on a veritable dinosaur movie binge(1990) -- agreed to star in "Theodore Rex," a comedy about a cop with a dinosaur for a partner. The story behind how Goldberg tried to get out of making the movie is much more interesting than the film. What's your favorite D-list dinosaur movie? Tell us in the comments below or @CNNFilms on Twitter.